Beautiful job! One of my favorite miniseries was Shogun..mostly because of how beautiful and gentle the Japanese women portrayed in it were. This reminds me of one of them. ..OMG>..she folded Larry into a papercube!!!!!!! Absolutely superb job! The way you paint is stunning. I was thinkin' she unfolded him! lol! In fact, I was going to do an animation where the paper unfolds in stages and Larry pops out at the end. Unfortunately I painted about three paintings underneath this one (talk about pentimento. ha.) before I settled on my subject matter. Decided it would be really irritating for people to have to watch all my scribbling to get to the good stuff. i love the foled up thing :) it's so cute! great GREAT job on everything ^_^ weee!! Me see an me liiike. Damn, this is a nice pic. That girl is ustsukushii if ya know wud i'm sayin babee... wooooo!!!!!! Pretty girl pretty pic. Wonderfull job. this is so very fine. Wonderful art terracotta! great face and her hair is perfect! ..three little maaaaaiiiiids...from school! You looks so sweet. 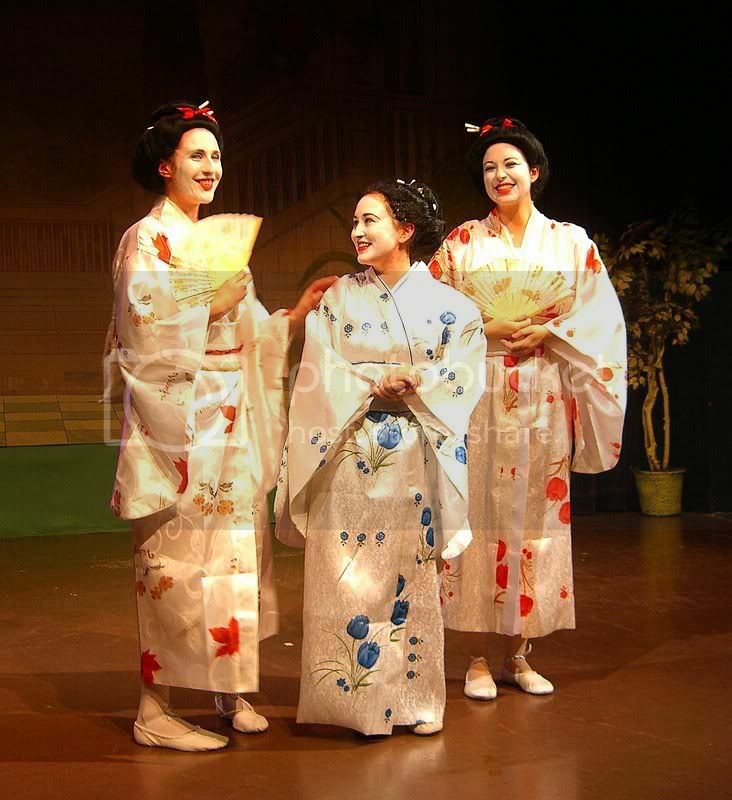 I used to spend hours dressing as a geisha every year at Hallowe'en. Thanks for sharing your photo. This is fantastic, especially in the face and neck areas. Lol nice to have some humor here! Great drawing!!!!!!!!! how the heck did I miss this?? I love it!!! It's got a touch of anime, a touch of Larry, and a touch of graceful realism. I love those eyes and that hair! wow wow wow! WOW! thats so amazingly beautiful~ i love her expression and the fact her skin looks os mooth and soft and touchable! wow, thas impressive. something about the nose looks awesome. so smooth. 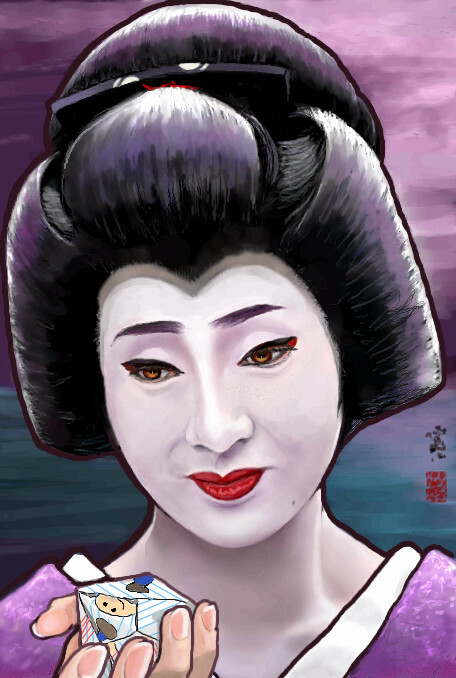 Her face looks real, her hair, kimono, and hand look painted, and the folded up thing looks like it was done by a kid. Don't get me wrong or nothing, I think this is a beautiful picture. That's just what it looks like to me.